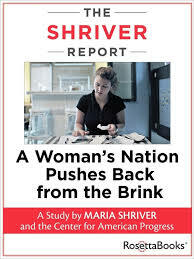 The Shriver Report created by Maria Shriver provides journalism at its finest. 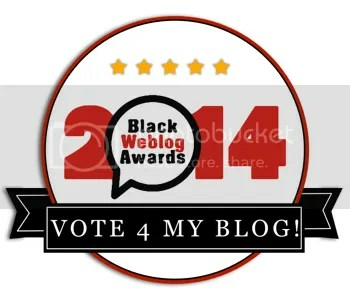 The origin and purpose are to discuss current issues impacting the world from the front lines. It incorporates documentaries, interviews and her own insights on life’s struggles and miracles. One letter I did want to share was the one from LeBron James. This particular one resonated with my spirit. I am a testament from a single-mother family through my teen years and am now a single-mother now. While it does not matter how you came about with your title of “Single Mom”, whether the children’s father is a contributor or not: if you are the custodial parent and when everyone backs out on their commitments, it is up to you to rise to the occasion. I am honored to participate in a project that is trying to help single mothers who are struggling to make a living and raise their kids, because that perfectly describes my mother when I was growing up. You think LeBron James is a champion? Gloria James is a champion too. She’s my champion. My mother really struggled. She had me, her only child, when she was just 16 years old. She was on her own, so we lived in her mom’s great big house in Akron, Ohio. But on Christmas Day when I was 3 years old, my grandmother suddenly died of a heart attack, and everything changed. With my mom being so young and lacking any support and the skills and education necessary to get ahead, it was really hard for us. We lost the house. We moved around from place to place—a dozen times in three years. It was scary. It was catch as catch can, scraping to get by. My mom worked anywhere and everywhere, trying to make ends meet. But through all of that, I knew one thing for sure: I had my mother to blanket me and to give me security. She was my mother, my father, my everything. She put me first. I knew that no matter what happened, nothing and nobody was more important to her than I was. I went without a lot of things, but never for one second did I feel unimportant or unloved. I stayed with the Walkers for a year, and what a gift that was! I was in the same school all year, slept in the same bed all year, played on the same football team all year, and Big Frankie put me on my first basketball team. I saw my mom every weekend. When my mother was able to rent a two-bedroom apartment with the help of a government-assistance program, I moved back in with her. We stayed together until I finished high school. The rest is history. People always say I am devoted to my mother. That’s true, but only because for every minute of my life, she has been devoted to me. My mother taught me what devotion truly means. I have tried to pass along her example by helping kids who are growing up in single-parent homes through the LeBron James Family Foundation and the Boys & Girls Clubs of America. The truth is that everything I’ve learned about being a parent to my boys—9-year-old LeBron Jr. and 6-year-old Bryce—I learned from my mother. Everything I know about being loving and caring, and sacrificing and showing up and being present in my children’s lives—I learned all of that from her example. Gloria James was a working single mother who struggled and got the job done. Previous PostEvan Ross and Ashlee Simpson Engaged After Dating Since Summer- Too Soon? My Insights!Next PostDivorce Is Not Only Remedy- January Busy Month for Divorce Filings!